Hoi An Central Market in the right position the old town center. 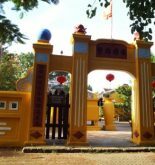 Therefore, the market is an interesting destination for tourists, especially the area with diverse culinary cuisines specialties affordable Hoi An. The front of the market. This market appeared with the demand of the commodities exchange and foreign merchant vessels. 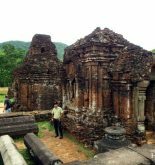 Throughout the history, the market confirmed its position as the famous trading port of Vietnam. 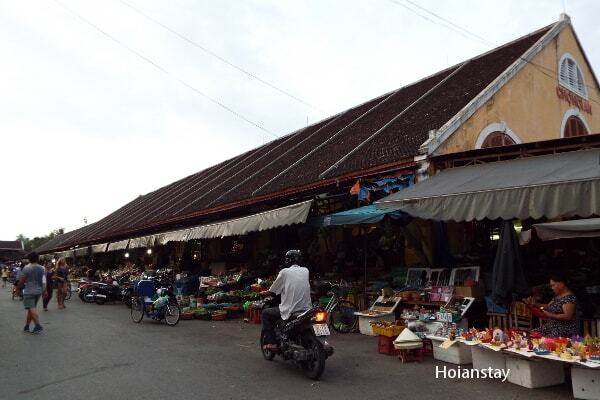 Nowadays, Hoi An Market has been multiple developed. Thank to the increase in commodities and service shopping needs, consumption of residents and tourists has been pushed and bring profit to the local people. The side of the Hoi An Market. The products here are predominantly seafood, including both fresh food from villages on the bank of sea, and dry food processed in traditional method of local people. There are also vegetables, fresh fruits and many kinds of prepared meals waiting for you to try. From very early morning, the market was crowded of women who carry vermicelli, noodles, sticky rice to start the market meeting. Market is full of culinary from morning until night, catering “three meals a day”, typical of Vietnam: breakfast, lunch and dinner. If you come to culinary area, you will feel in harmony with the rhythm of life, which is right “quality” Hoi An and explore many things very interesting. It is the best way to fill your empty stomach in affordable cost. Inside the Hoi An Central Market. The stalls are arranged closely together, small but very neat, clean and absolutely guarantees food safety. You will feel very comfortable because there is a certain amount of space for sitting, eating and chatting. It is surprised that there is delicious food, attentive service in cents. 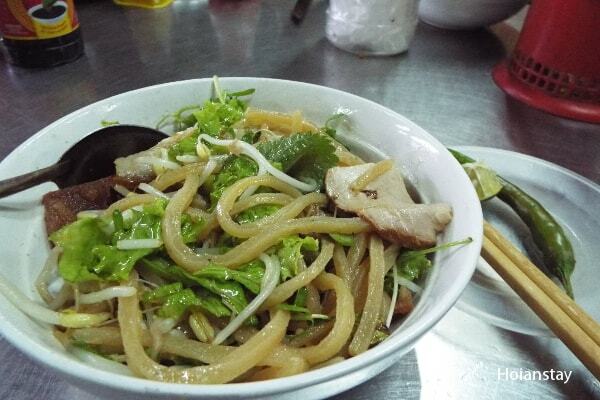 With only a few tens of thousands VND you have a satisfying meal with fried foods, stir fry, boiled. The most interesting thing is the style that is very professional and hospital of the owner. Chefs like the housewives in home who are diligent to make food ready in place when you have requested. 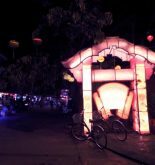 The bartender is enthusiastic as a tour guide who explains how to make the variations of local dishes, mixing drinks and introducing to you and chat about Hoi An culinary. Cao Lau dish in the market. The market is not a culinary heaven for food lovers who have healthy stomach, but also an ideal place to get fine silk at attractive price. Within 24 hours, the customers can have their dress, suit or jacket made by local tailors. Besides, souvenir and local handicraft hunters will also be satisfied with plenty of items when browse through at the Market. The market is not an touristic place for visitors, it is also a place showing local daily life activities. Visitors can witness the negotiation of salesmen and fishermen who just land and bring the freshest fish from ocean. 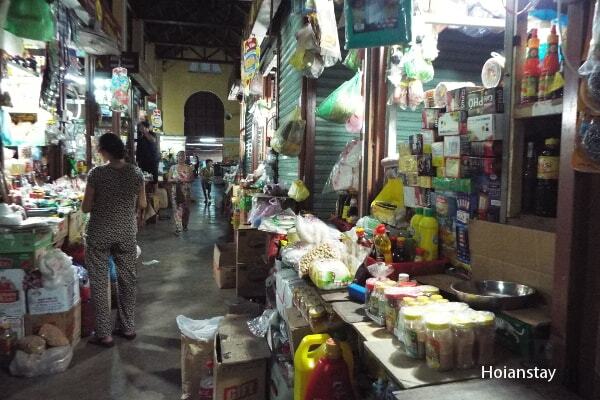 The crowded atmosphere of Hoi An Central Market is always a rope to pull visitors to come and see. The sound, the smell contributes to make a living picture about typical life of Vietnamese people. 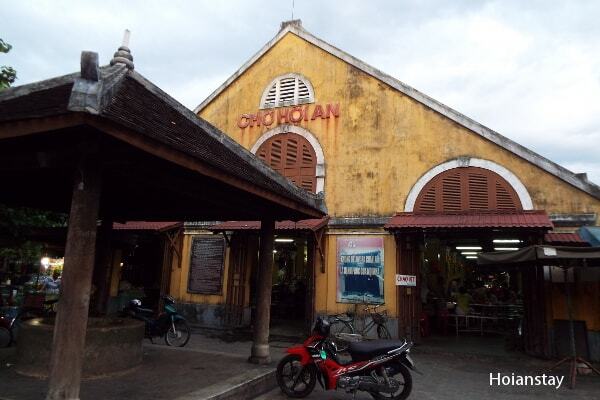 Central market is a must see place that should be noted down on the tip for tour book when coming to Hoi An.